Home MSP Marketing	What is the MSP Marketing Golden Gun? 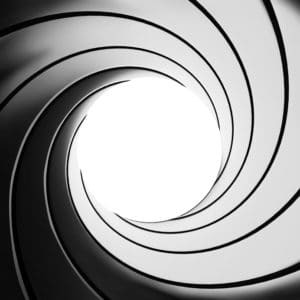 Though the world of MSP marketing may not be fraught with gadgets, guns, and girls, we still find ourselves with similar obstacles as the great James Bond on one of his missions. Our ammunition is our hard-earned skills learned through training and practice not unlike that of James Bond. What is the Golden Gun and how can marketers utilize it in the field? Throughout the years Bond’s cool-headed attitude and Moxy have helped him overcome the destruction of the MI6 secret service after Bond’s failure to secure the names and whereabouts of his fellow undercover agents. This gave the secret villain empire Spectre the upper hand as the former British intelligence was in disarray. Similarly, many times in the MSP business and in life it may feel like the rug has been pulled out from underneath; leaving you with difficult decisions to make and little time to make them. What MSP workers can learn from Bond is that it is always important to maintain a cool-headed attitude geared towards solving the problem or achieving a mission. In much of my experience coworkers have jumped the gun by being too eager to close a sale or have lost their cool while dealing with a disgruntled customer. Their reactions become snappy and irritated rather than staying oriented on the problem at hand. Often people don’t like to be “sold” over the phone or anytime really. It’s not unlike shopkeepers in street markets yelling their prices and bugging you to visit the store but you just couldn’t care less and, even more so, are turned off by their pushy attitudes. People want to think that the idea of purchasing a service is their own, turning cold calling into an intricate game of inception. The Golden Gun of a true salesman is not only having a product they believe in, but coupling that with the gift of coercing a customer and planting an idea with them that resonates. Having these skills will certainly be of use both on and off the field. Through perseverance and the help of some unlikely allies Bond was able to track down the elite crime organization Spectre. Vengeance birthed Bond’s new mission as he set out to destroy Spectre utilizing all his acquired skills and training. Through reflection of your own skills you will realize that you too have what it takes to complete the mission. Whether it be recovering from a financial blow, striving to outdo a competitor, or overthrowing an international crime syndicate, you can craft your Golden Gun to shoot you straight to success.